We are proud to announce that Killarney Cat Hospital will no longer be performing declaw surgery. We know many of you have shared concerns about this procedure which echo our own concerns. After significant soul-searching, research, and discussion, we have come to the conclusion that we must advocate for our feline friends and we do not feel that declawing is in their best interest. A bit of background… since the declaw procedure provides no medical benefit for the cat, it is considered “cosmetic” but it is far more than a mani/pedi. Rather, it is the amputation of the first phalanx of the digit. In human terms, rather than simply trimming our nails, we would be removing the bone from the fingernail back to the first joint on our fingers. While we provided significant pain control when we did our declaws (pre-operative, peri-operative, and multiple days of postoperative opioids, and non-steroidal anti-inflammatory medications, as well as a local nerve block prior to the procedure), we still worried that these cats might go on to have chronic phantom pain just like human amputees. Why did we worry about such complications when we used excellent surgical technique and ample pain medication? Well, to put it simply, because the veterinary literature tells us that these complications occur in about 50% of cats post-declaw. 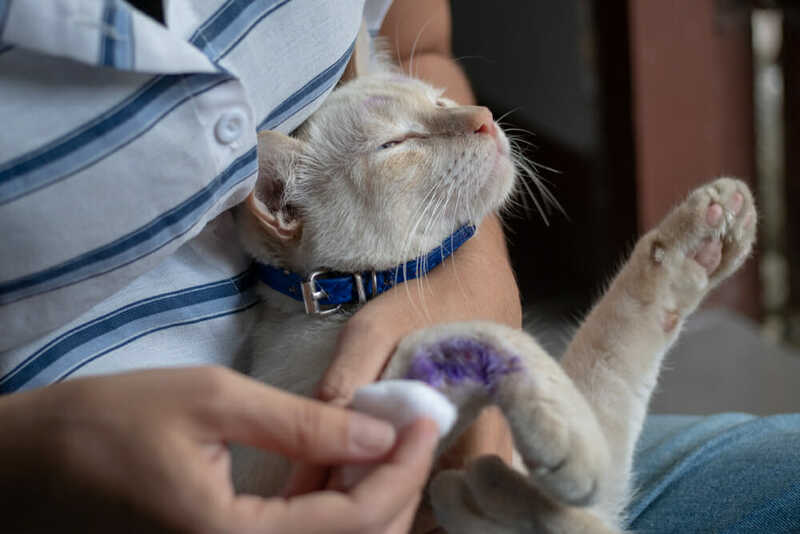 Studies have been performed where board-certified veterinary surgeons performed declaws under pristine conditions and complications were still noted. Since cats are stoic and often will not show us that they are in pain, a device for “force gait analysis” was used to measure the weight put on paws when walking. The declawed cats placed less weight on their paws than their anatomically normal counterparts. This study showed that declawed cats are more protective of their paws, which suggests that they are uncomfortable. 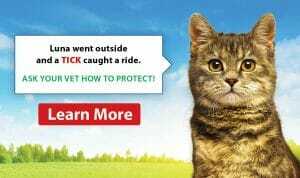 We do not feel the risk of chronic pain is acceptable when there are so many other options to prevent unwanted clawing and scratching behaviour. Speaking of those other options… what are they exactly? First, we recommend environmental enrichment: a sturdy scratching post, cat trees, and cardboard floor scratchers serve to provide our cats with acceptable scratching areas. 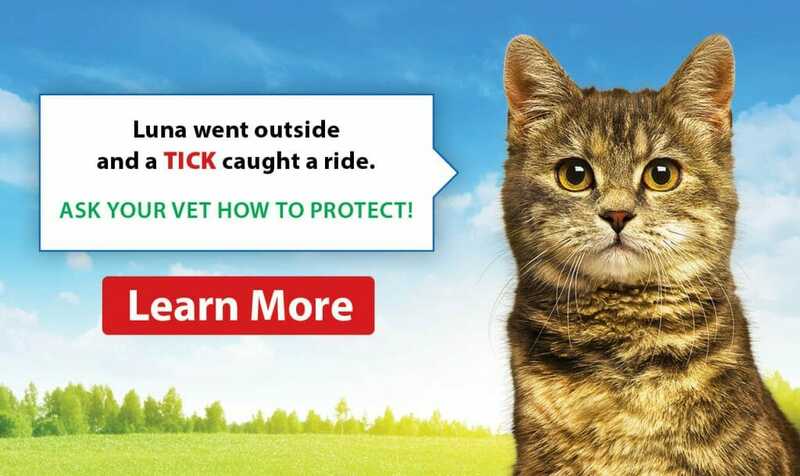 Tricks such as double-sided tape, aluminum foil, or throw covers placed on less acceptable scratching areas are helpful. 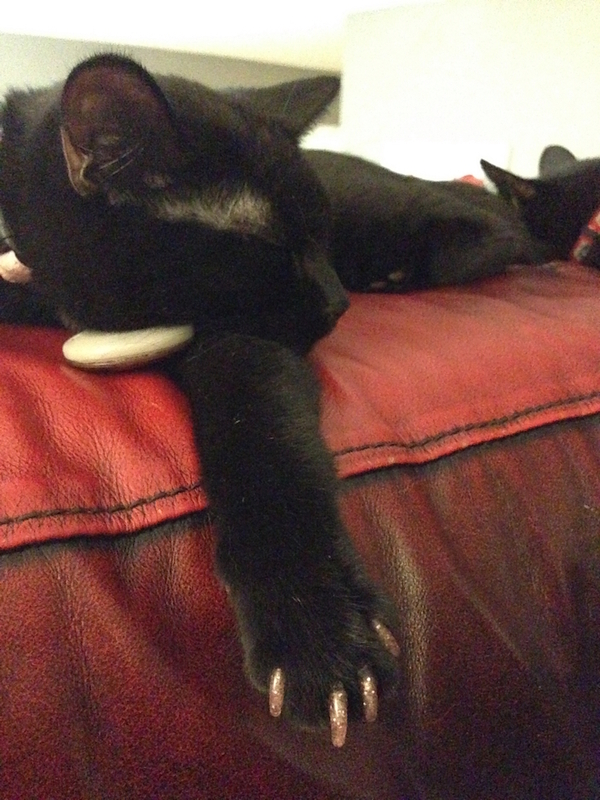 Finally, we have found that Soft Paws (soft plastic nail sheaths) work wonders to prevent scratching. They are well tolerated by cats and cat owners report that they are pleased with the results. Soft Paws are applied after nails are clipped and stay on for 4-6 weeks (until the nail grows out). At that time, the application process is repeated. At Killarney Cat Hospital, we believe so strongly in the benefits of Soft Paws that we are starting a new Soft Paws initiative to support our fabulous clients and their fantastic felines in their quest for claw maintenance. We offer the Soft Paws kits here and are happy to show you how to trim nails and apply the Soft Paws. However, if your feline friend is of the more squirmy variety, we welcome them to come to visit us as needed for their Soft Paws applications. As always, please do not hesitate to call if you have questions about how Soft Paws can work for you! p.s. Soft Paws come in all the best colours… come in and check them out at our Calgary veterinary office.